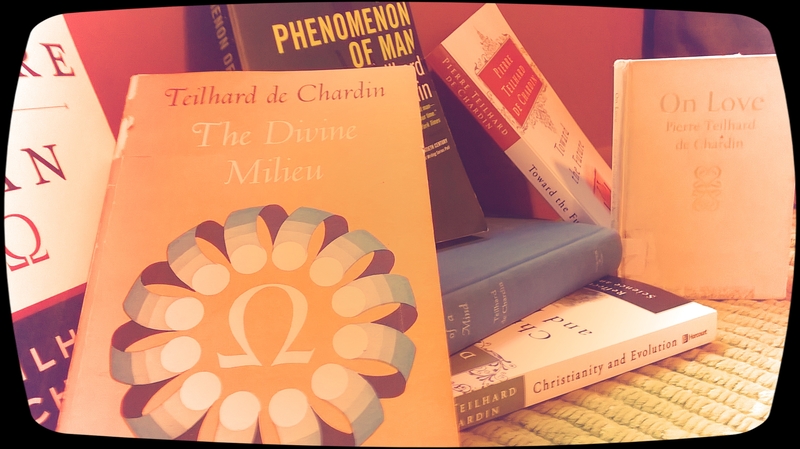 I’ve spent the last two years devouring the works of Pierre Teilhard de Chardin. A Jesuit priest who lived from 1881-1955. There is far too much that could be said about his life’s endeavors and experiences to include in one blog post; however, as I hope to continue to flesh out his works on my blog, I can imagine many of these will naturally arise throughout the process. Although there is one aspect of Chardin’s life that is helpful to know right up front. Chardin was both a Jesuit priest, as well as a distinguished paleontologist. His discoveries and contributions to the world are often more well known within the scientific community than they are among the religious (a very unfortunate reality for those in the latter community). This divide in scientific and religious worldviews would be his life’s passion and pain. He received opposition from both sides and struggled on how to best impart the vision he had been given to those around him. His was a vision that didn’t just make a way for scientific and religious realities to co-exist without disagreement, but rather made the two so intertwined and so dependent upon one another that once a person is able to grasp his vision it will soon become the only vision one can see. The problem is the vision Chardin casts is gigantic … and well, it’s also infinitesimal. It describes that which is both innumerably multiplied and simultaneously united into one singular being. Understanding the science behind his theory is doable, although it can still take me a great deal of effort at times. Chardin’s works are more than simply a scientific method laid out in such a way as to deliver facts based on evidence and devoid of beauty or intentionality. Teilhard is one of the most captivating poetic philosophers that I have ever had a chance to read. Reading his works is intellectually stimulating and simultaneously world changing, but at the same time spoken in such a way that I am driven to tears almost every time I hold one of his books in my hands. My intention for this post was to get myself to a starting point with how to begin discussing his theories and ideas. I’m not sure I can say that has happened, but perhaps a short introduction–combined with a sense of my own admiration for Teilhard–was important to get the ball rolling. His first work was published shortly after he died in 1955 (He never published due to the church having forbid it due to the content). It is called “The Phenomenon of Man” and lays the foundation for his entire theory following after. I’m re-reading the work and my hope is to be able to write out some of my own understandings of what he has already laid out for us. An appropriate quote to end with today displays the beautiful poetic nature of his speech that I spoke of earlier, but also describes one type of person who he calls the enthusiast and in my opinion describes well the type of person Chardin embodied–that of a hopeful person. Hope is one of the things I find most compelling and captivating about Chardin’s qualities. He had an insatiable audacity to have unwavering hope in the truth of who Christ was, who Christ came to be, and who Christ is becoming through His church. Hope to declare a knowledge that the incarnation has truly and mysteriously enmeshed us through grace and brings us right into the midst of this incarnational story. Jesus came and then he invited us … Could it be that we have forgotten that our acceptance of His invitation must be regarded seriously both through the eyes of the spiritual, but also through the eyes of the physical? This quote comes from a lecture he gave 1943. He is describing such a hopeful being as this when he says, “Not only is it better to be than not to be [for the enthusiast], but they are convinced that it is always possible–and the possibility has a unique value–to attain a fuller measure of being. For these conquerors, enamored of the adventurous, being is inexhaustible–not in Gide’s way like a precious stone with innumerable facets which one can never tire of turning round and round–but like a focus of warmth and light to which one always draws closer. We may laugh at such men and say that they are ingenious, or we may find them tiresome; but at the same time it is they who have made us what we are, and it is from them that tomorrow’s earth is going to emerge.” To find such hope in this world and to live it out as it is already true is something humanity could never have too much of. And so, it turns out I did find my starting point for this series after all. We begin with hope, keep moving towards hope, and rest assured it is there we will find love. Minnesota, March, and 70 degree weather are not usually found in the same sentence. Tomorrow the forecast is predicted at 78. Today the ugly spring crushed me with it’s full power. It felt great. I lost spring last year to grief. I don’t recall one memory of the overwhelming joy or hope that spring usually holds. I think this lack of last year’s season is what made today so intense. It was this intensity which brought to my attention the ugliness in spring. Spring, in the very beginning moments, isn’t beautiful through sight. Dog messes hidden by snow are now beginning to beg attention. Trees still completely bare, without the frost of winter to give them sparkle. Lawns are brown and matted down. Yards are littered. Roads are covered with sand and salt. Today didn’t look beautiful … today felt beautiful. The beauty of Spring is the power it holds in our experience of it, and it is not all found through the lens of our vision. I praise a God who can make ugly and create one of the most treasured experiences of living on Earth. The cycle of new life. Now that is a reason to be thankful. The beauty is in the smell of spring. It’s in the hope it congers up inside us. It’s the sounds of kids playing in their driveways. The chatter of the neighbors who haven’t seen one another in months. The birds returning to their nests. It is the wind and the sun beckoning us with their warmth and playfulness. It’s all of these things that call to us; they tell us that we have survived. Survived another cycle of death and rebirth. We have done it and summer is going to return. Beauty isn’t just about what we see, it is about what we experience. God doesn’t only give us hope in the expected, but in the unexpected. Spring is proof that childlike joy still exists in every heart. Beauty, hope, and joy … all found at the beginning of the ugly spring.